Brenda Goodman is an artist. 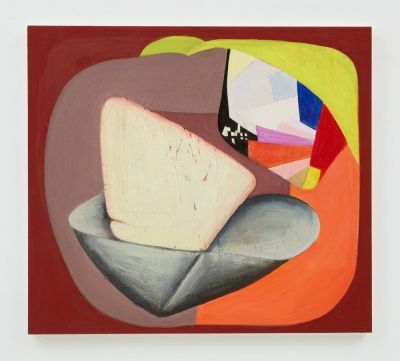 Sikkema Jenkins & Co. is pleased to present In a Lighter Place, a solo exhibition of new paintings by Brenda Goodman, on view from January 24 through February 23, 2019. With over 50 years of experience as a painter, Goodman is an artist at the height of her career. She began in 1960s Detroit, as a member of the famed Cass Corridor Movement. In the early 1970s, she exhibited with Guston, Tworkov and de Kooning at the Gertrude Kasle Gallery. After moving to New York City in 1976, Goodman explored ways to integrate intensely personal issues with the freedom of abstract expressionism. Throughout the years, she earned a reputation as a painter’s painter, recognized for using paint in inventive ways, from very thick impasto to thin veils of color, while employing a variety of traditional and unorthodox tools and methods. Ten years ago, Goodman left the city to live and work in the Catskill mountains. Since then, her work has become more abstract. In this latest body of work, she has taken yet another leap, with a focus and clarity that comes from the culmination of decades of experience as a painter. Paint is applied in thin, resolute layers over an intricate network of gouges cut into the wooden doors she uses as surfaces. This work is brighter and more playful, yet still loaded with emotion and the mystery of how abstract shapes can evoke narrative meanings. The paintings invite the viewer into Goodman’s imagination, revealing a depth and intimacy that is both spiritual and earthly. My work is not preconceived but is more akin to the improvisations of jazz. The painting develops through a series of intuitive choices guided by an understanding of formal issues and my years of experience. Since 2006, I have been incising lines on thick paper as a starting point for my oil on paper pieces. A little over a year ago, it occurred to me that I could use that same technique on my larger wood panels. I bought a linoleum cutter and started making deep incisions randomly over the whole surface. Then, working intuitively, I choose a group of cut marks and put a color down to create a shape. That shape informed the next, then the next, and the painting grew until I knew it was “right” and complete. Brenda Goodman was born in 1943, in Detroit, Michigan. She received her BFA from the College of Creative Studies, from which she also received an honorary Doctorate of Fine Arts in 2017. After moving to New York City in 1976, her work was included in the 1979 Whitney Biennial and she has had 40 solo exhibitions. In 2015, a 50 year retrospective was presented at the Center for Creative Studies and Paul Kotula Projects. That same year, her work was included in the American Academy of Arts and Letters annual invitational where she received the Award in Art. Recent solo exhibitions were presented at David & Schweitzer Contemporary, New York; and Jeff Bailey Gallery, Hudson, NY. Jeff Bailey Gallery also presented a solo booth of Goodman’s work at NADA, NY in 2017. Recent and upcoming group shows include those at the Landing Gallery, Los Angeles; Gregory Lind Gallery, San Francisco; September Gallery, Hudson, NY; and Hollis Taggart Gallery, New York. Goodman’s work is included in the public collections of the Museum of Contemporary Art, Chicago; Santa Barbara Museum of Art; the Detroit Institute of Arts; Cranbrook Art Museum; and Wayne State University Art Collection. She has received fellowships from the National Endowment for the Arts and the New York Foundation for the Arts.